Outstanding in quality and style, this Toothsome Choco Essential Gift Basket will sweep the recipient off their feet. 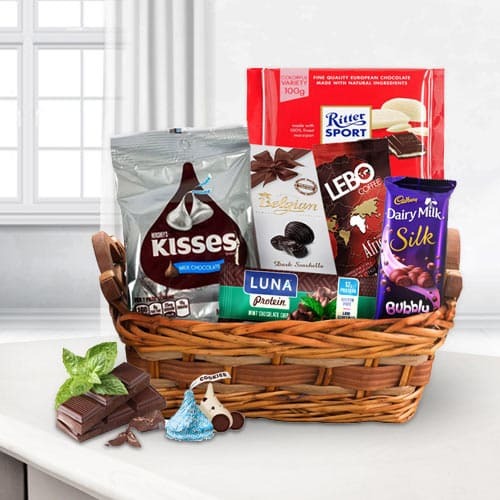 A Chocolate Gift to delight any enthusiast, this Basket contains a real lucky dip of tasty treats like Belgium Chocolate, Dairy Milk Bubble, Ritter Sports, Mint, Le Chocolate and Hersheys Kisses. All these items are artfully assembled in a Basket.